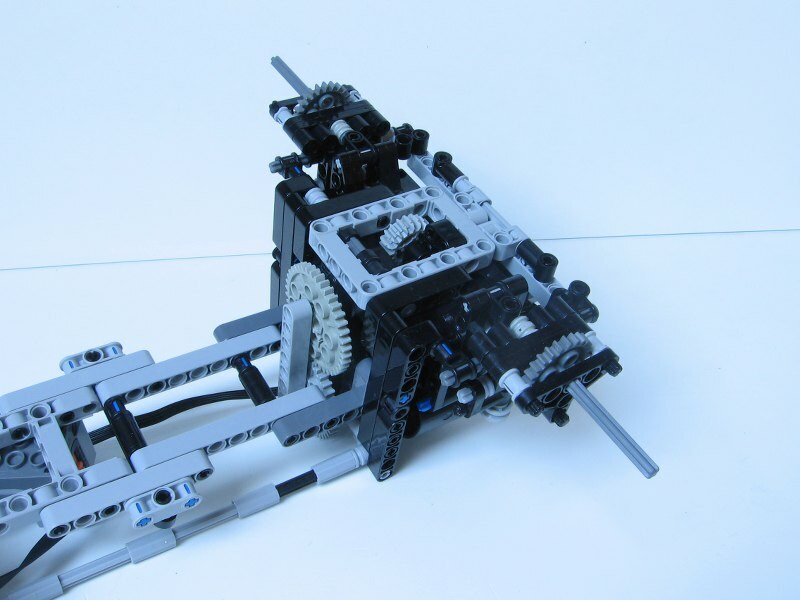 My goal was to made a very simple and reliable crawler, which is able to take apart in competitions. 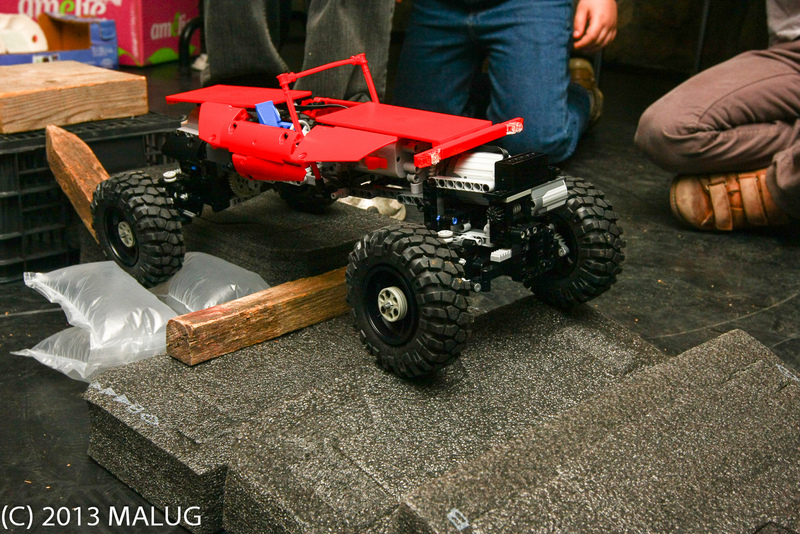 It was succesful in Malug crawler races. 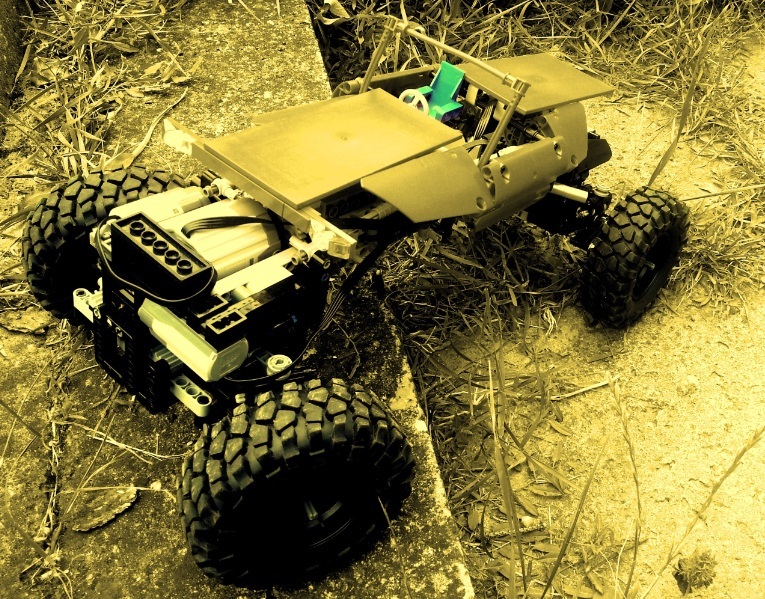 Crawlers are relatively free-made, so the bodywork isn't made after a picture from reality. 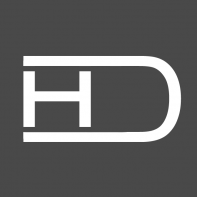 One important thing: you may noticed, it has a relatively large wheel base. 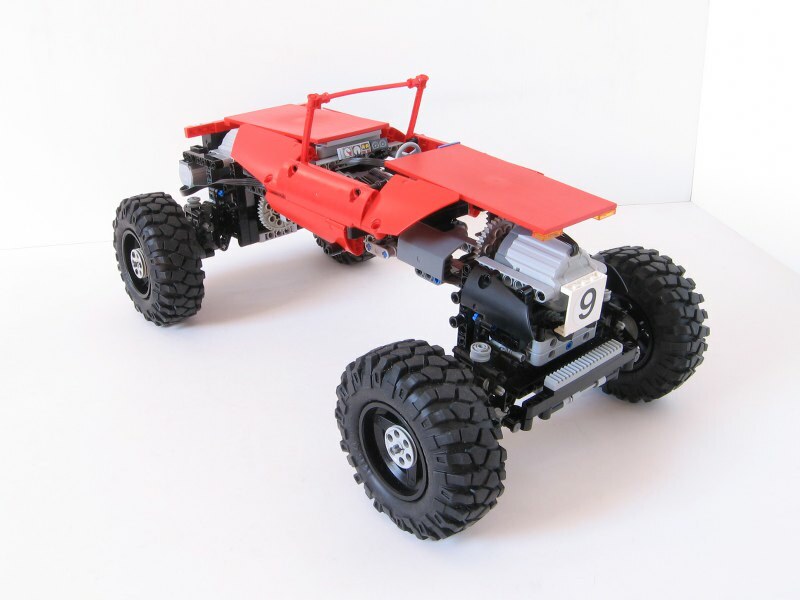 To have the good wheelbase/ground clearance ratio, I also increased ground clearance. 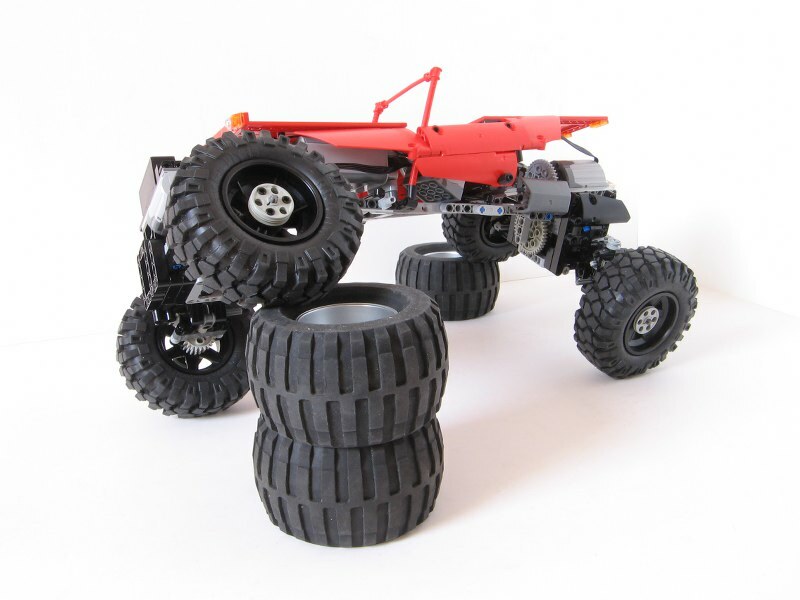 All depends on the terrain, it can be as good as short wheelbase. With a long one, it's more stable against falling backwards. 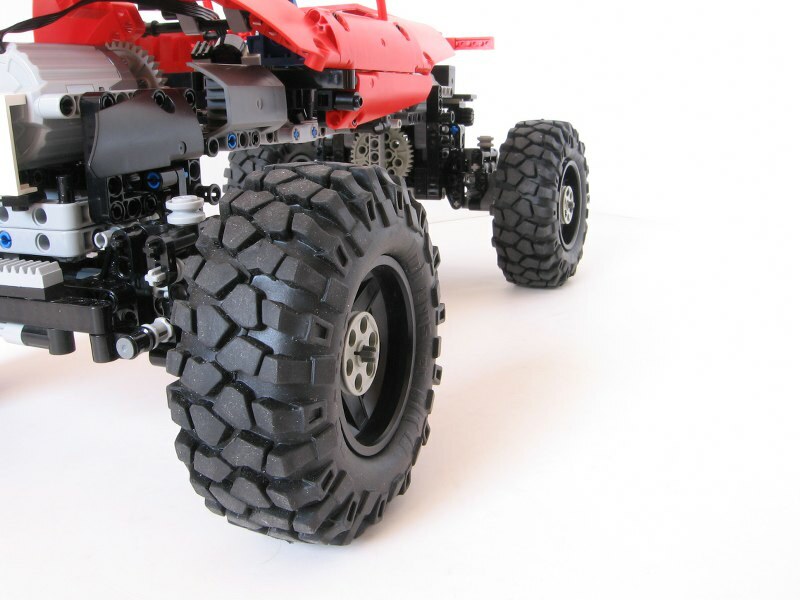 The non Lego tyres: RC4WD 1,9" rock crusher XT. 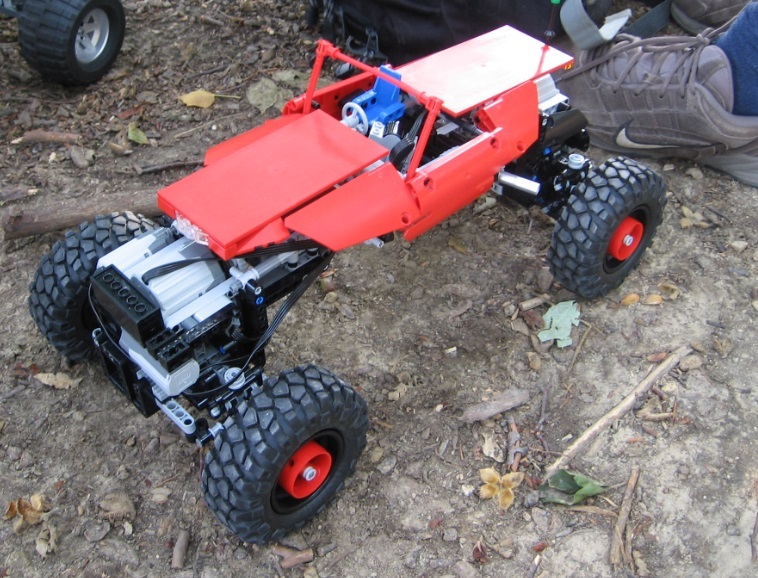 It's driven with two XL motors (in the axles), on M motor steers. 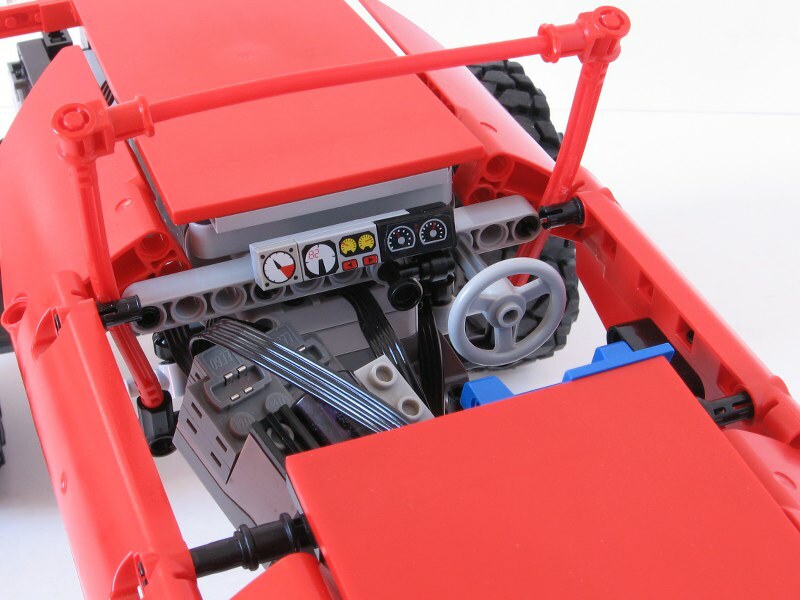 The additional M motor and ship weight in the front axle is only for weight, they have no functions. 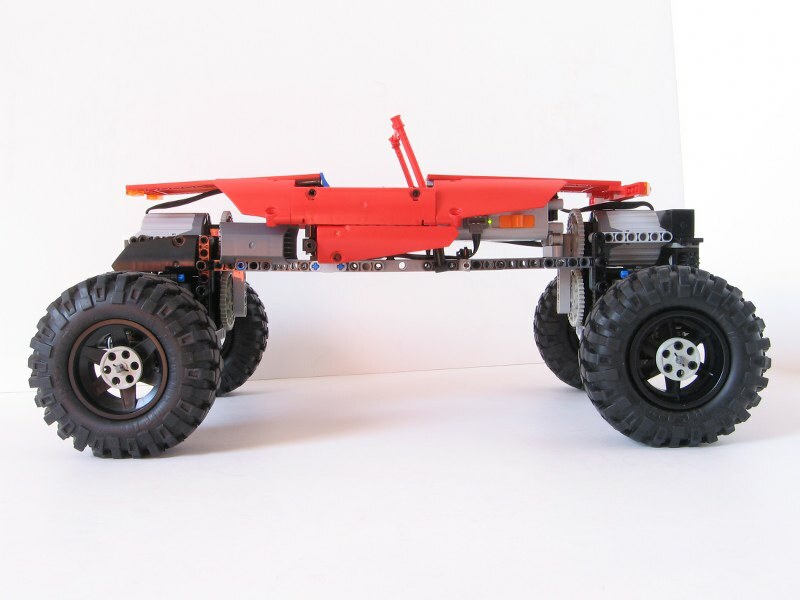 More weight on the front axle helps a lot in terrain. 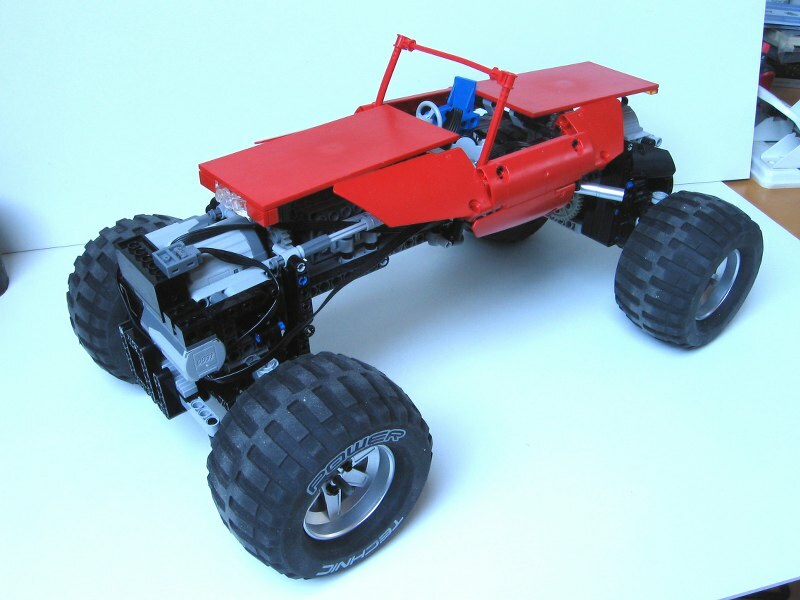 The bodywork in not too strong, but who cares with that in a crawler. Lightweight construction was important. In the video below, you can see some high-speed recording about a falling of a piece from the body. WOW, you actually went up stone stairs! Amazing. I just fell on some concrete stairs and broke two ribs...does that count? OMG! I'm very sorry to hear that, TC. Thanks. I even surprised when it passed the stairs. For a long time, it was me the impossible terrain section.. Thanks to share your opinion. 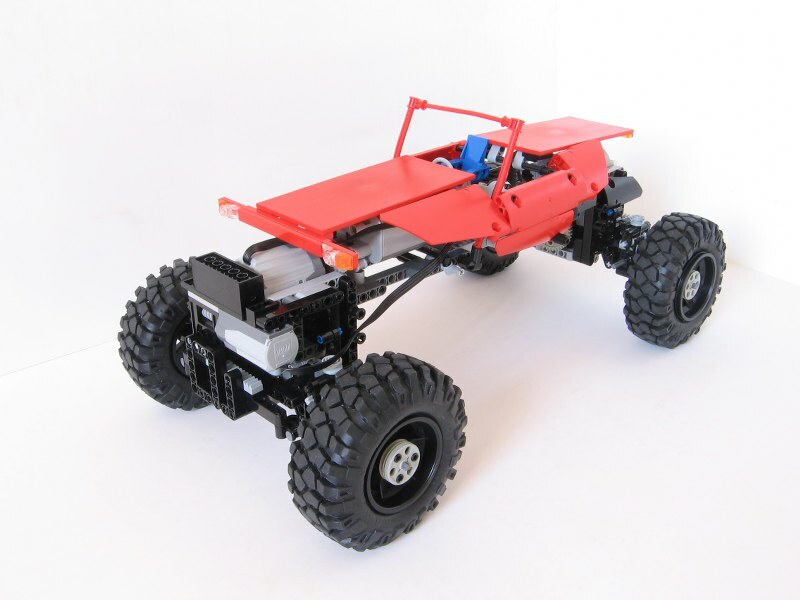 If it seems climb better with longer wheelbase (without that I don't think, the stairs section can be passed), then why you suggest the short wheelbase? Nobody can proove, why it's good, and I tell the reason: it's not better or worse. 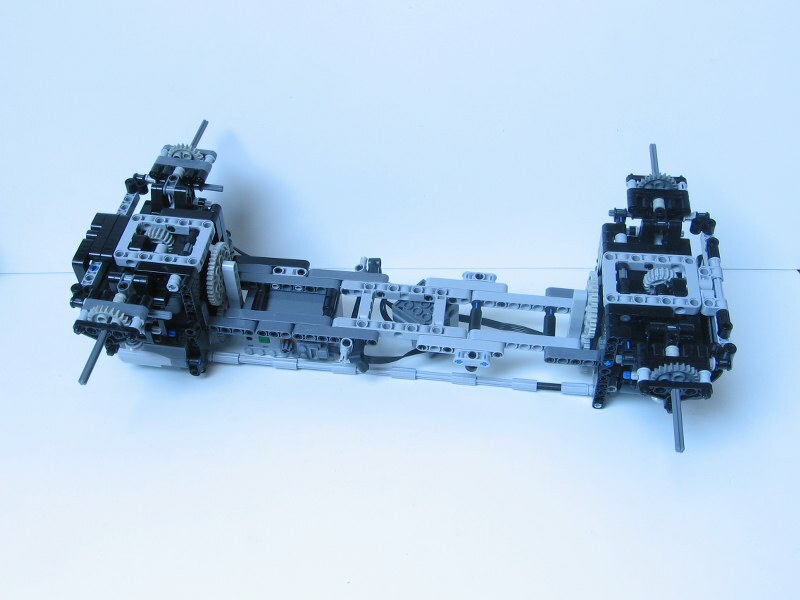 There are simply long and short wheelbases. 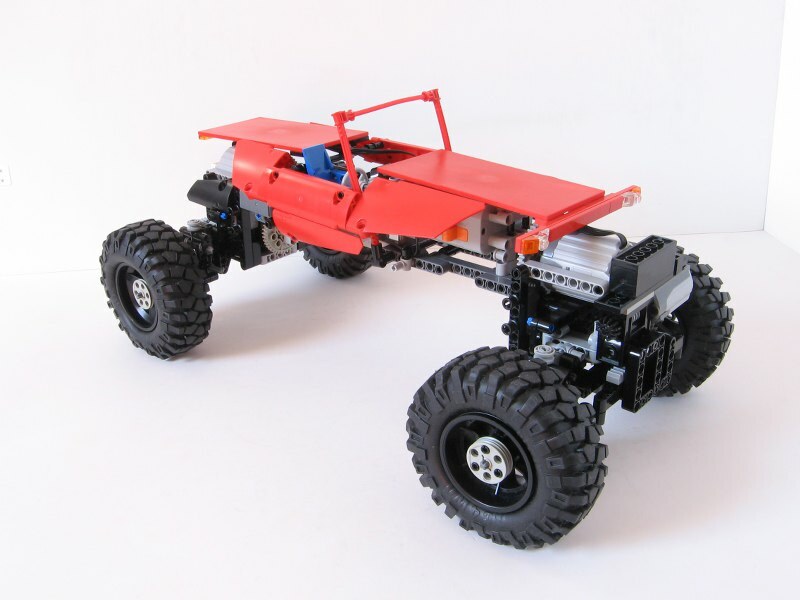 There are terrains/sections where long or short wheelbase is better. 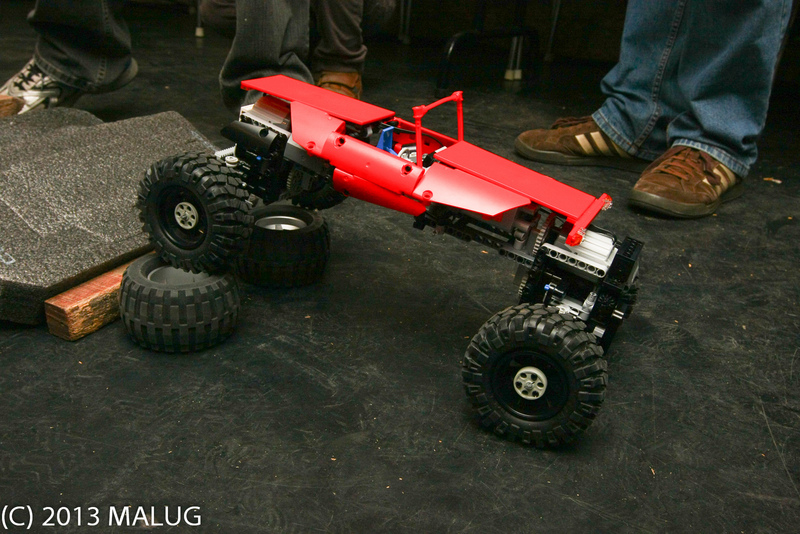 But I wrote one reason for the long wheelbase: "With a long one, it's more stable against falling backwards." We are allowed to think outside of the box. 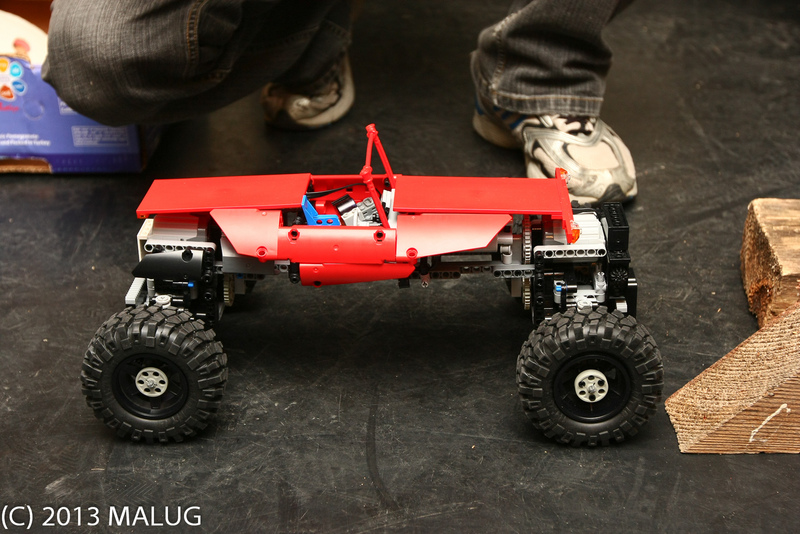 Turning circle: I don't care much about it, but the front wheels can be steered in big angle, so I had no problem with it. Anyway, I don't understand why my crawlers have this lack of interest. If they aren't good, feel free to tell me. Should I made the pictures or the video in different way? Highly innovative. 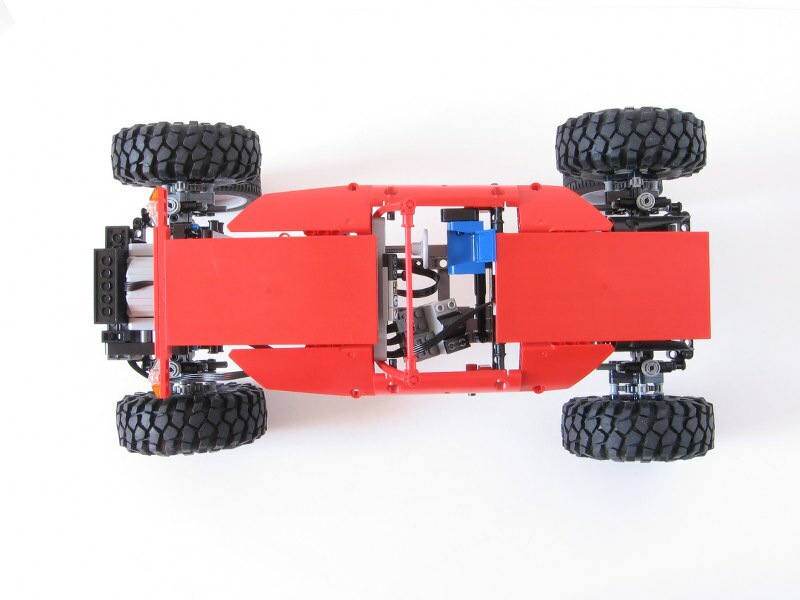 I really like the simplicity of the chassis and how you have used the flexibility of liftarms to your benefit. 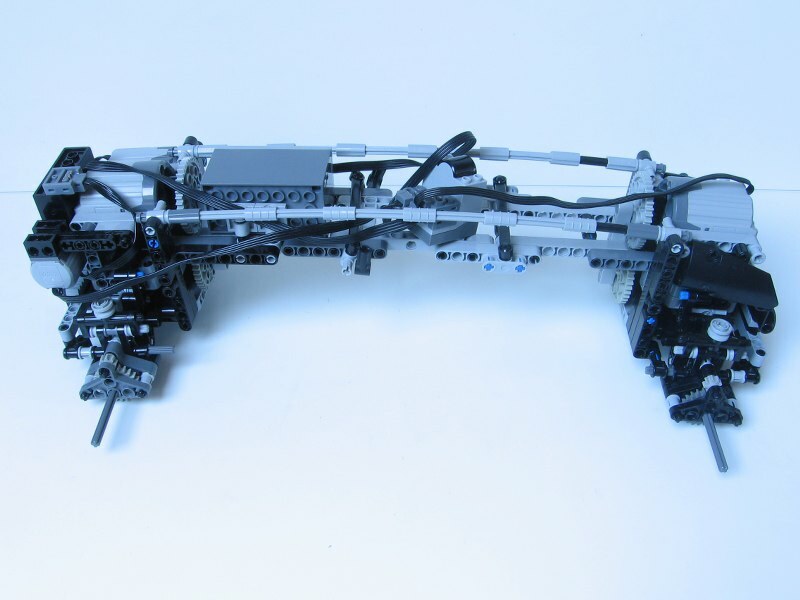 Makes sense to use the material characteristics of the LEGO as an advantage rather than trying to mitigate against it and then add suspension. The performance of this vehicle speaks for itself. I think that it's not more popular because it's not got a fancy 4 link suspension system or some realistic bodywork, but if you're a fan of form follows function like me, this hits the spot. 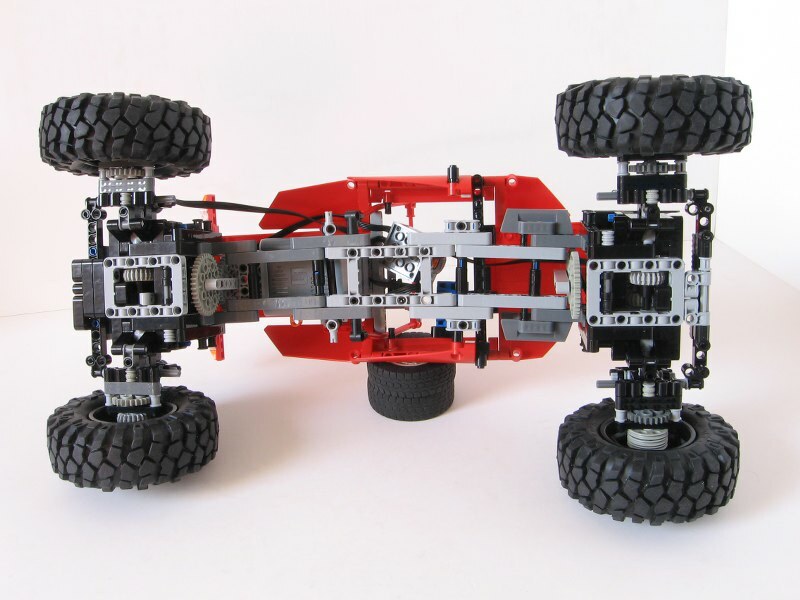 Ironically, I just made a post in my newbie thread about off-roader suspension systems in LEGO and why they are always highly complex. Regarding the lack of interest- I'm really not sure. If there's one thing you're missing, it's this. 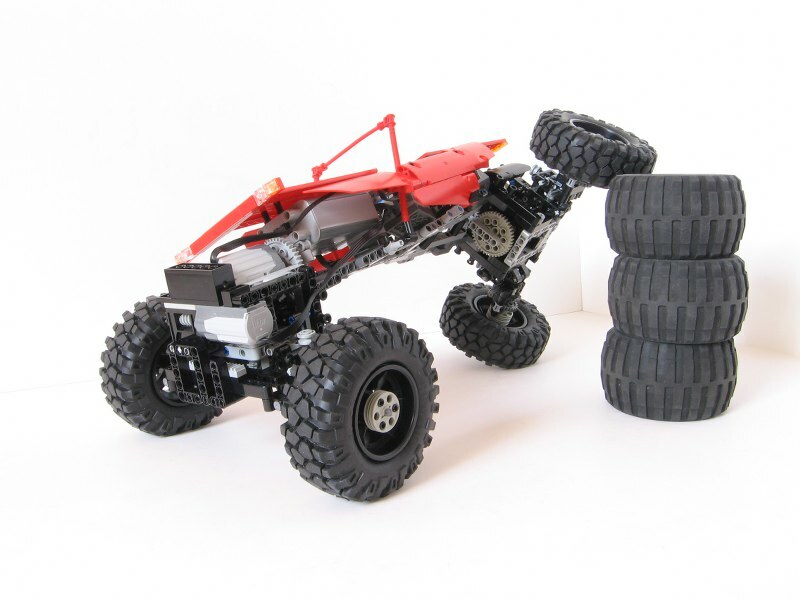 That is a good use of the 'stick' type chassis for rock crawlers which was pioneered several years ago in the hobby grade R/C world. 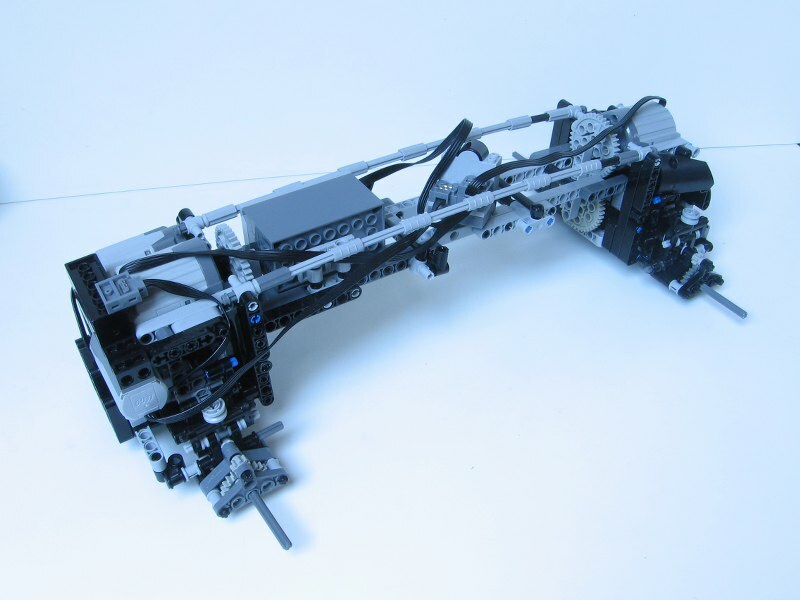 I have never seen that idea tried with LEGO. Very interesting.